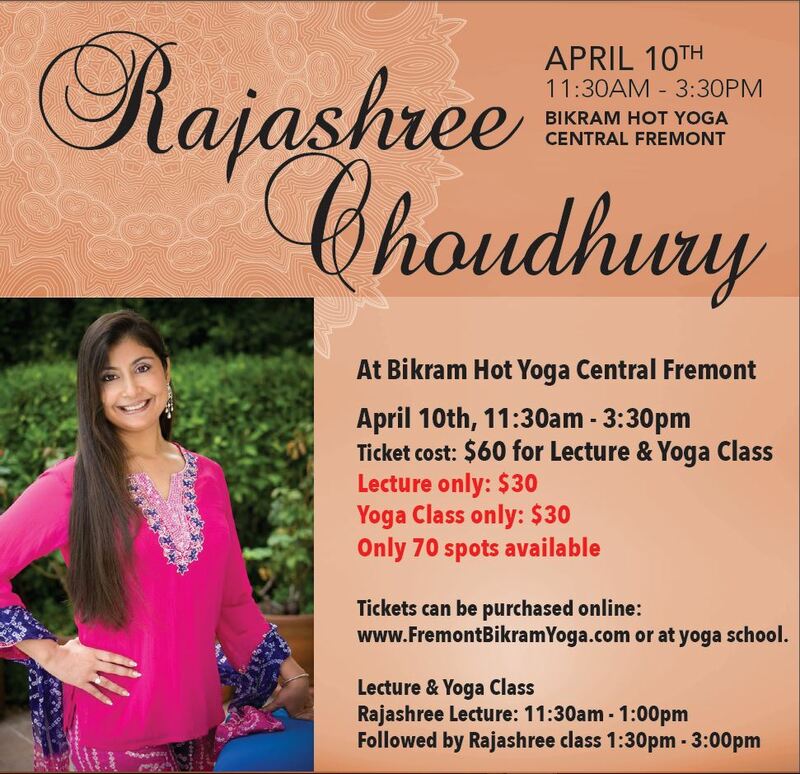 Rajashree Choudhury, Coming to Fremont on April 10th. Rajashree is a world renowned teacher; she is a teacher of teachers. Take this opportunity to expand your knowledge of yoga and your practice. Born in Kolkata, India, Rajashree started yoga training at the urging of her parents at age four and was a five-time winner of the National Indian Yoga Championship from 1979 to 1983. With over 15 years in the East and 25 years in the West, Rajashree‘s special focus has been on the emotional side of yoga and how it balances the energy of the human body and impacts not only disease, but also affects the body/mind/soul connection which constitutes vibrant health. She teaches her highly-acclaimed Pregnancy Yoga Classes and has a DVD and new book available. Inspired by her personal teachers, Dr. P. S. Das, and Dr. Kushala Das, as well other great teachers including B. K. S. Iyengar, Paramahansa Yogananda, Rajashree is also by the small things, which touch her heart. 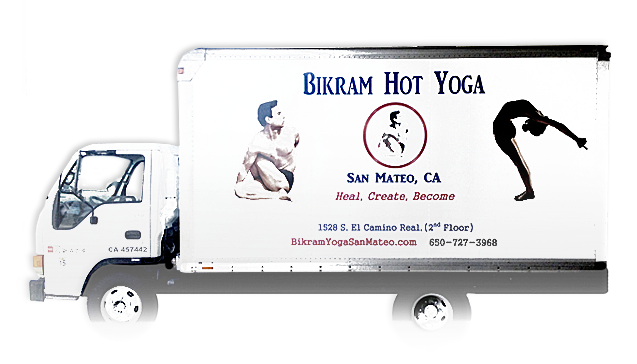 And, of course, by the big transformations that yoga brings to people’s lives. She supports several non-profit organizations that help others heal with yoga therapy: Parikrma Foundation in India, serving poor children by helping them stay in school; a yoga and meditation center for Aviva in Los Angeles that she helped build; and Red, White, and Blue, an organization that helps veterans through yoga and other physical activities. She is also the founder of the United States Yoga Federation, a non-profit that promotes yoga-asana as a sport and The International Yoga Sports Federation.